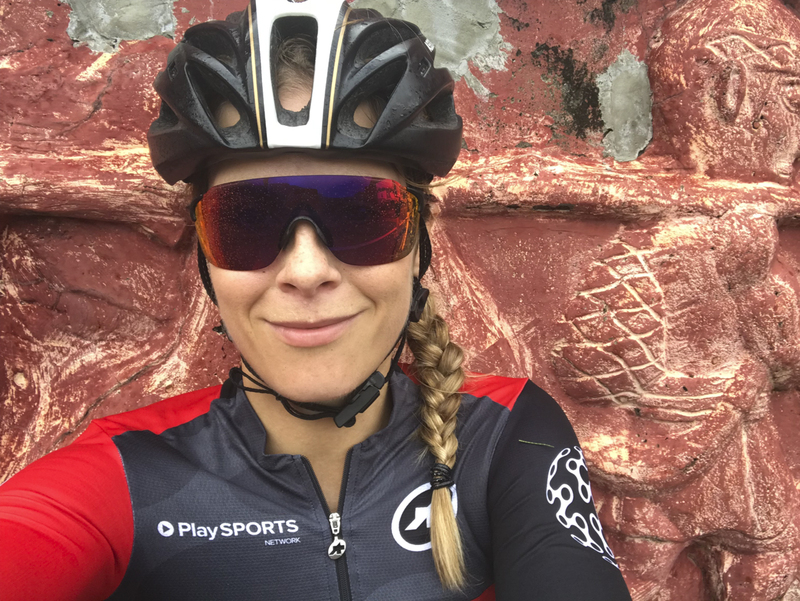 After a couple of weeks adjusting to the bone-chilling cold we’re experiencing here in the UK and some time planning my training for 2018’s race season, I’ve finally found an afternoon to sit down and share my thoughts on cycling the east coast of Taiwan. Sorting through my images from the trip and rewatching the videos I made of my visit has only reinforced what a privilege it was to experience such a unique and diverse country with a really brilliant bunch of people from around the world, all of whom had like me, been invited by the tourist board to experience Taiwan on two wheels. Taiwan’s west coast was a surprise to me. A lot flatter and busier than I expected, it nonetheless had some standout moments, from crossing the Tropic of Cancer to temples, decorated villages, breathtaking bridges, small traditional villages and coast roads. Kaohsiung was a superb city set on a beautiful river lined with trees festooned with blossoms. 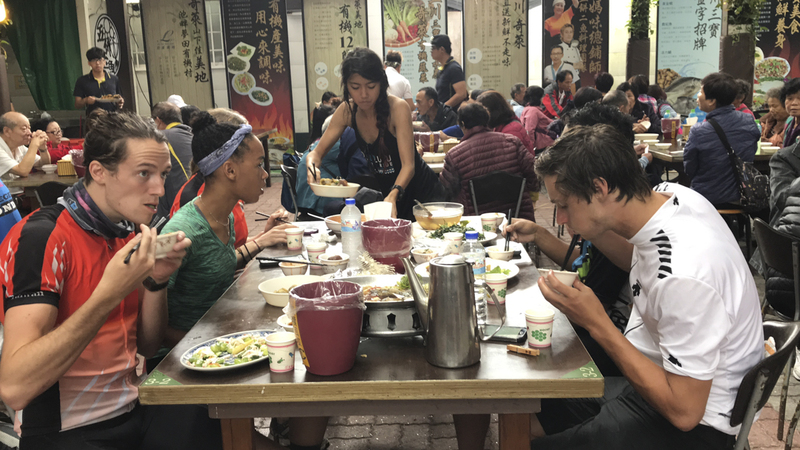 Not to mention the interesting food we got to sample, such as egg and butter filled steamed bao, taro and yeast flavour ice-cream, caramelised sweet potato crisps and traditional fish soup in Chiayi. Click here to find out more about it or read on for tales from the east coast. 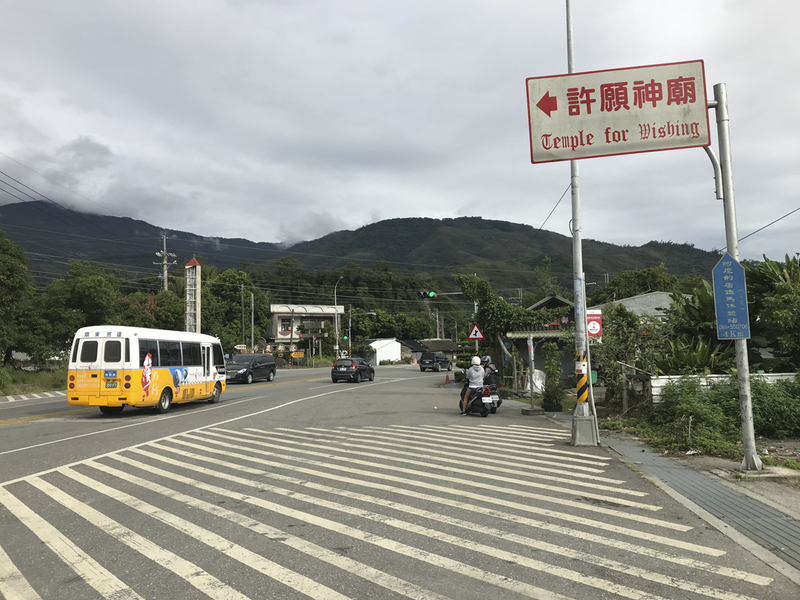 No matter how much we enjoyed the first part of our round island trip, all of us were looking forward to hitting our first mountain and discovering Taiwan’s east side and that opportunity came right after an overnight stay by the ocean in Checheng. Possibly one of my favourite days of the trip (though that’s a tough call to make) we headed out from Checheng at our customary early hour, sunshine warming our faces as we turned away from the coast. 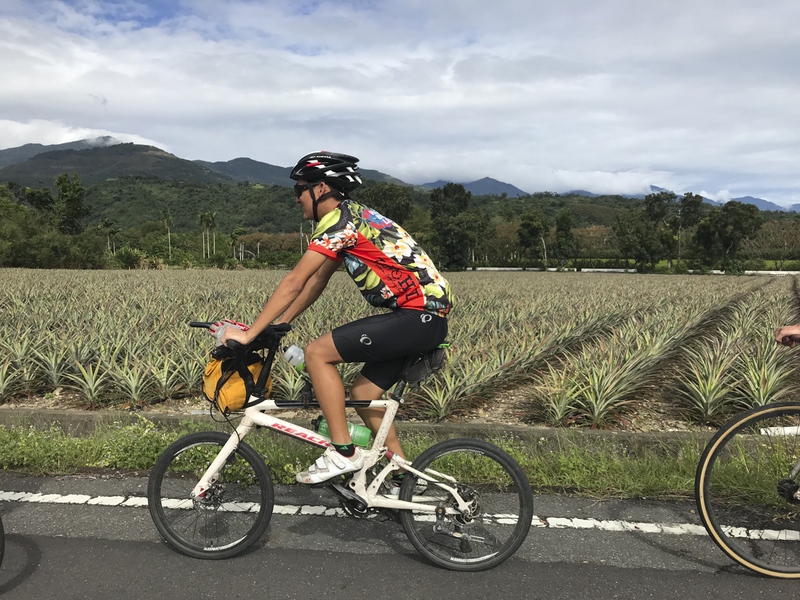 Riding through farmland and past a huge temple we started climbing steadily through Pingtung county stopping to regroup at an extravagant gilt temple and again at an indigenous township with decorative red arches framing a delicate rainbow. 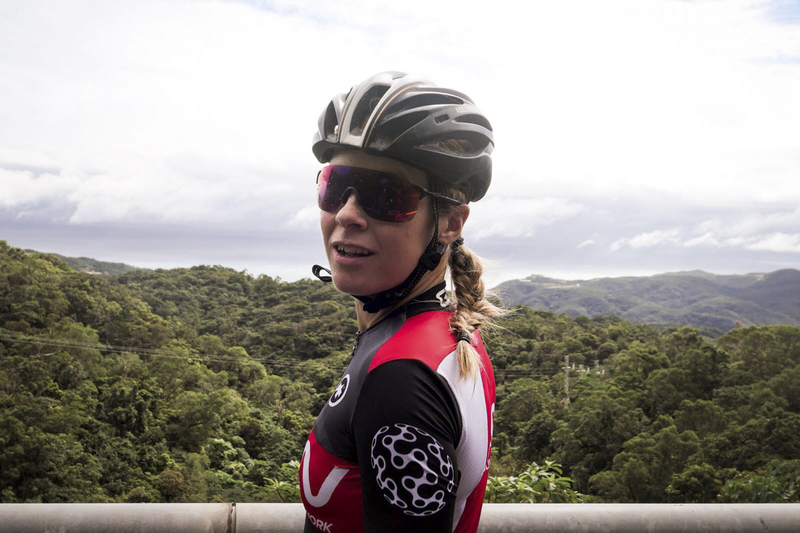 The climb itself, though nearly 40km in length was exceptionally pleasant – a mild enough gradient that you could settle in and enjoy watching inky black butterflies whilst you rode through thick green tropical forests. The rainbow should have been an indication that rain was heading our way and after a fabulous climb, but one where I nonetheless was looking forward to a descent, we found ourselves at the top of the mountain in a rainstorm. 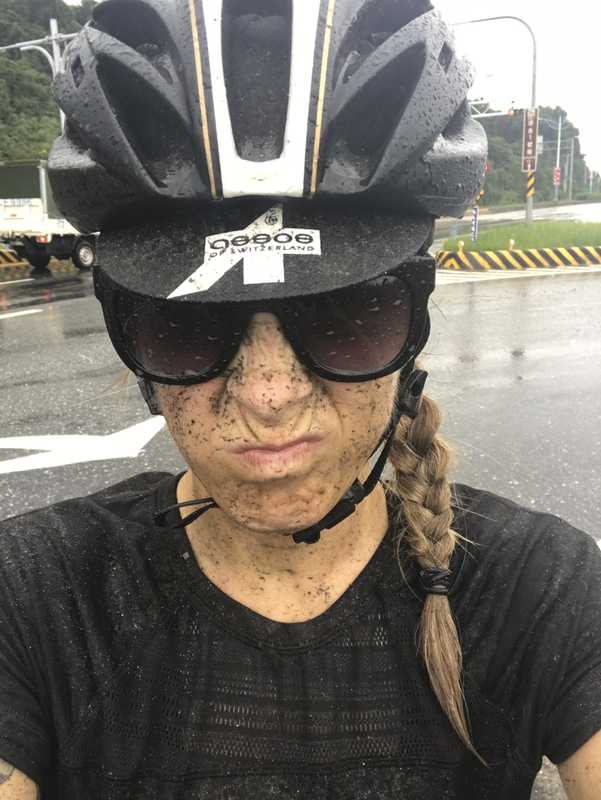 We pointed our bikes downhill expecting gravity to work it’s magic but no such luck – what followed was actually a battering from the elements. The weather only worsened as we made our way along a highway next to the ocean, torrential rain making the headwind all the worse. But strangely, the experience was so full on, so visceral that I felt totally pumped by the whole thing. I loved that ride. I should probably mention here that Taiwan Tourism were putting us up in really nice hotels and generally taking very good care of us. Our hotel in Ruisui had a hot spring and as I was the only person in our group who’d brought a swimming cap, I went in alone as they turned out to be mandatory. The ‘hotspring’ was several manmade pools filled with thermal water. Absolutely teeming with people, the mood was one of pure fun as people chatted, laughed and splashed about under jets of water. One of the highlights of these hotel stays (ok, THE highlights and something we talked about constantly) was the breakfasts. There was always an enormous array of dishes from traditional Taiwanese food such as dumplings and these small fried pieces of dough that I really liked, to hot soy milk with tofu and spring onions, rice, stirfries and sometimes western food such as waffles or pancakes. Along with the dough pieces that I enjoyed dipped in a kind of oyster sauce (I think) I loved the fluffy steamed bao buns and incredible fruit such as dragon fruit, melon and banana. I still dream of those breakfasts. But enough about food. 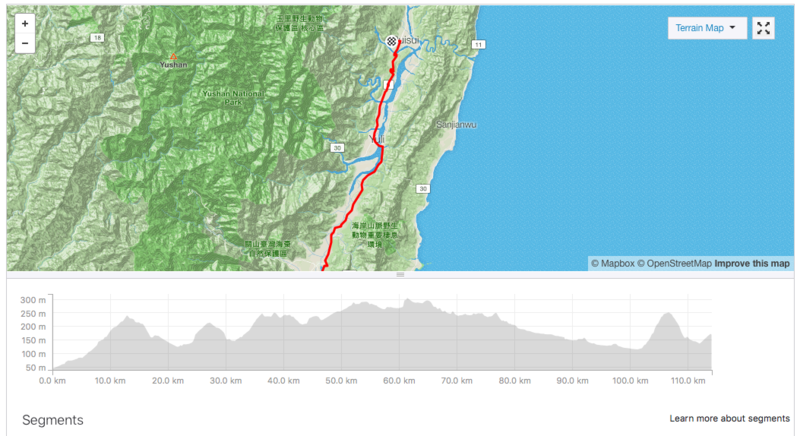 The ride from Taitung to Ruisui was enjoyably lumpy, the climbs all a mellow gradient. 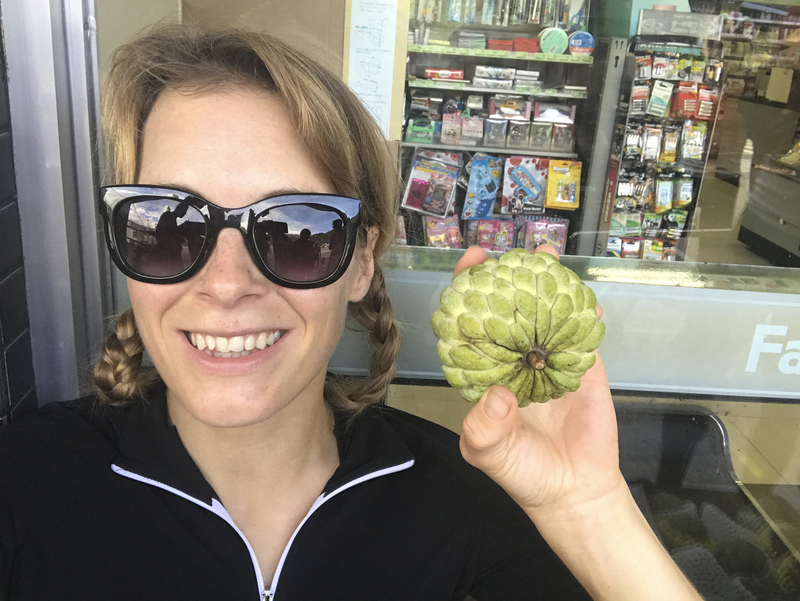 Luye township was wonderful – we stopped to eat custard apples (haha, still talking about food) and rode through avenues of trees past tea plantations where worked harvested the tips by hand. 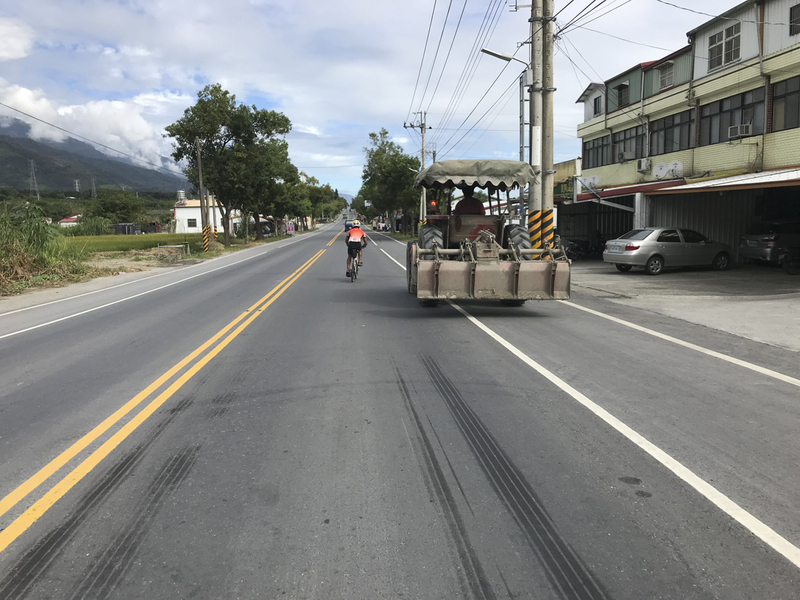 There were some long stretches of highway before we reached Chishang, home to the most scenic rice fields I’d ever seen, and clearly I wasn’t alone in thinking that – the area was full of tourists pedalling around on little buggies enjoying the views. After a wonderful lunch at a private Japanese restaurant, we continued along Yu Fu bicycle path and over a bridge that spanned the two tectonic plates responsible for the hills we’d been enjoying riding. My final day was another rainy one but this time the rain took its toll and I started feeling quite under the weather from standing around in drenched clothes all day. 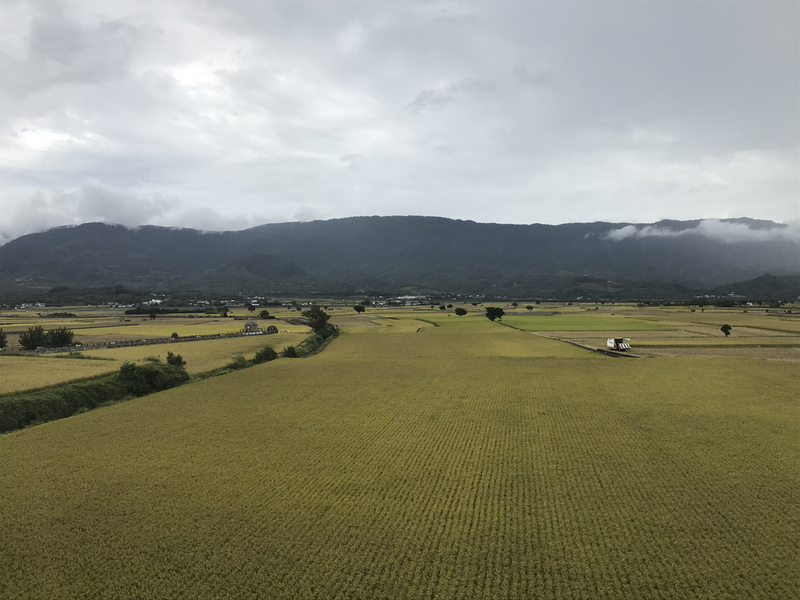 The temperature in Taiwan in November is quite mild or even hot – the previous week the temperature had risen to 36 degrees celsius – but the rainy days were chillier at around 15. As we were on a sightseeing tour and all different abilities, we left each day at 7.30am and arrived around 5.30pm. As we were only riding 100km per day, you can make your own guess about how much stopping was involved. I guess one way around it would have been to ride more slowly, but I just can’t make myself do that, particularly when it’s raining so in general I’d ride at a good speed (around 35km p/h) tucked in a line with the other faster riders until we saw the support van, where we’d stop and wait for the other riders to catch up. In general we stopped every 10km so just as you got warm, you stopped again. It’s worth mentioning here that some of the other riders didn’t cycle at all prior to the trip, and I mean AT ALL! It was incredibly impressive that these champs were riding 100km on back to back days; I can’t even imagine how hard that must have been. Completing the ride together was really important, so the stops were necessary for regrouping, refuelling and resting. It was just a shame about the weather! The roads went by in a blur of rain and mud. We rode slightly inland, between the mountain and the coastal hills, the route featuring several longish but super mellow climbs For me, the highlight was a visit to Lichuan fish market where we ate an amazing meal with huge trays of tiny golden clams cooked with garlic. As a keen traveller and cyclist, naturally I believe that exploring by bike is superior to any other means of getting to know a country and this trip only reinforced that. 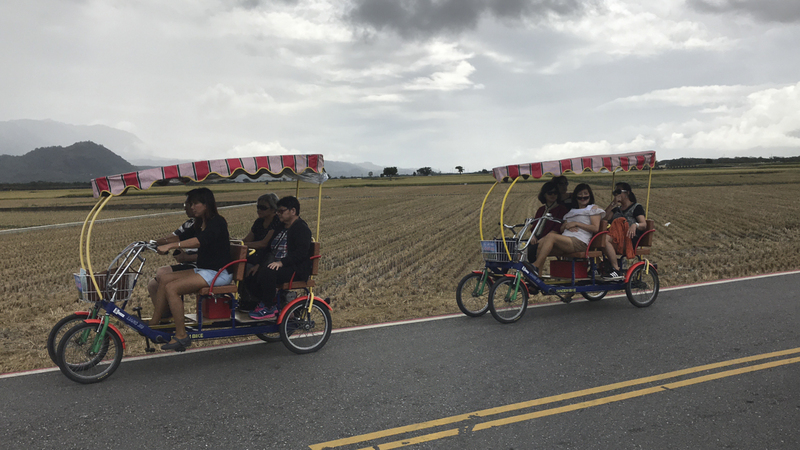 Despite Taiwan being (to me) synonymous with cycling, we saw relatively few cyclists on our trip around the island, aside from the other group who were riding the same tour as we were, but organised by Giant. 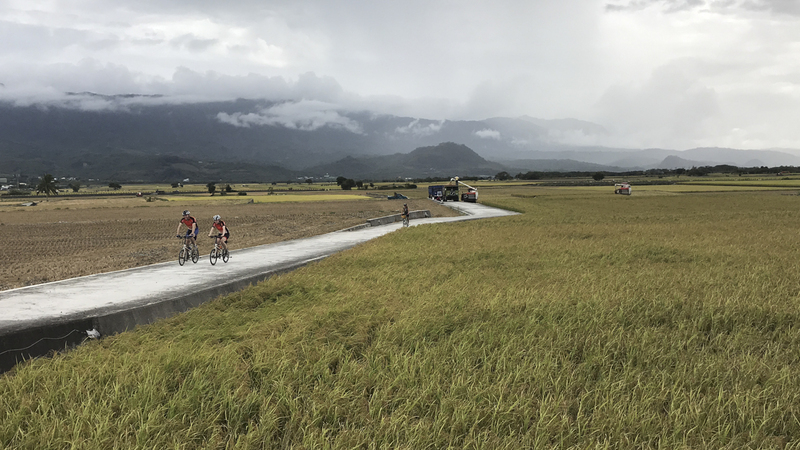 I feel that this will surely change once word gets out how great cycling in Taiwan can be! Though we had a support vehicle, I reckon this whole trip could be done self-supported in the same number of days that we did it, assuming you had a decent level of fitness. The hotels that we stayed in outside of Taipei were really reasonably priced considering the standard – I’m talking £50 for a four star hotel in most places. However, ordering food or securing lodgings without any knowledge of Mandarin would be a huge challenge and I’d definitely have felt quite lost without all the help we were given! I hope you’ve enjoyed reading about my visit, if you’ve any specific questions please do leave them in the comments below. 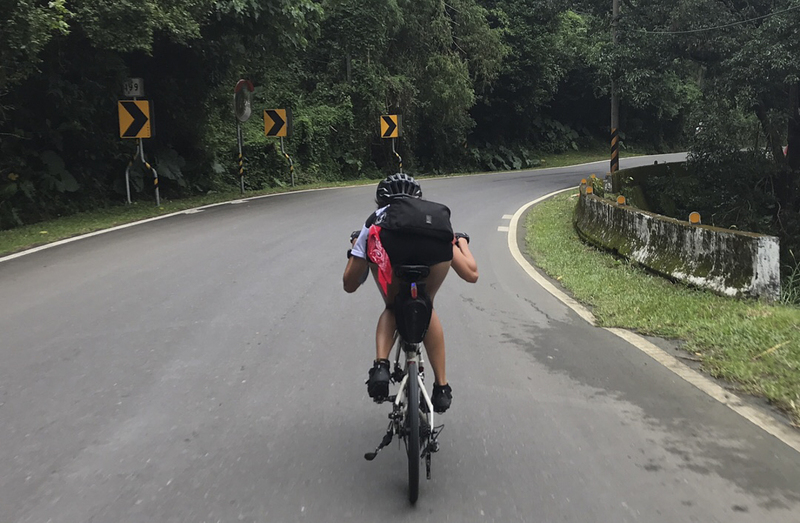 I’ll be riding a post with more detailed tips and hints for cycling in Taiwan so if there’s something you’d like me to include, let me know! Lovely riding, thanks for sharing your experiences. Loved the videos. So good to have folding bikes featured on this blog and on your YouTube videos. Hope to see more the same content in the near future. The best ridingtime in Taiwan is in September, wish you have a nice tour. This is great! I would love to do something like this but from Bristol to Barcelona – That would be pretty awesome. 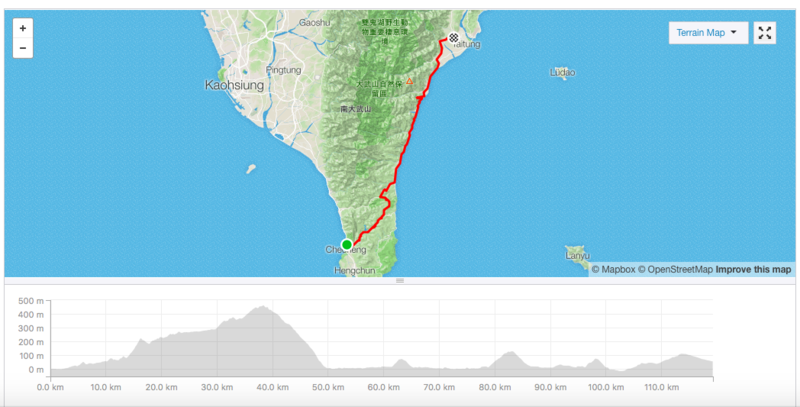 I am planning to go bikepacking in Taiwan this year. Il start from the north Tip of Taiwan to South planning to finish it in 7 days. Do you think it’s possible? yeah, I think that would be doable. Have a great time! Juliet, I have been thinking about this trip since you first posted and I want to try to do this loop in 7 to 8 days. I plan to do the cycle solo. Do you think it would be safe for a women to do this on her own? I did note that you thought people that can’t speak any mandarin may struggle? Do you think this would be a problem? Hey Barbara, I never felt unsafe on the trip at all and feel the trip is entirely doable by a solo woman. Go for it!